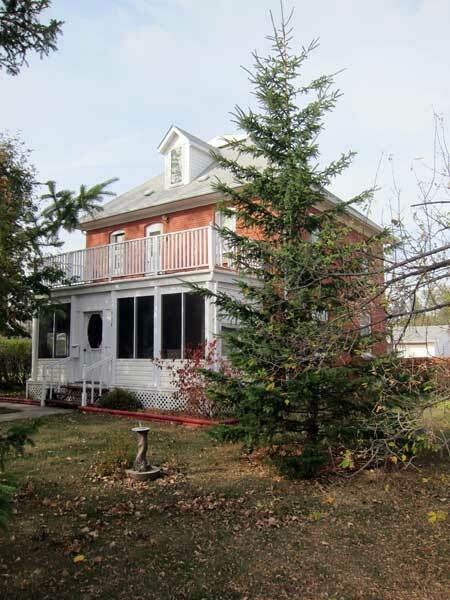 This two-storey brick residence in Reston, in the Rural Municipality of Pipestone, was built in 1909 by Thomas Mutter (1879-1953), who was a grain buyer for the Lake of the Woods Milling Company from 1898 to 1938. It is a municipally designated historic site. “Thomas Mutter, 74, pioneer of Reston, buried recently,” Brandon Sun, 15 December 1953, page 5. Mutter House, 116 Second Avenue, Reston, Manitoba Historic Resources Branch.